Change an Industry. Join Pluribus Networks. We are looking for technology-savvy “athletes” – the A-players who have some unique skill or point of view and want to share it. We want people who aren’t looking for a job; rather, we are looking for people who want to make a difference and change the world. 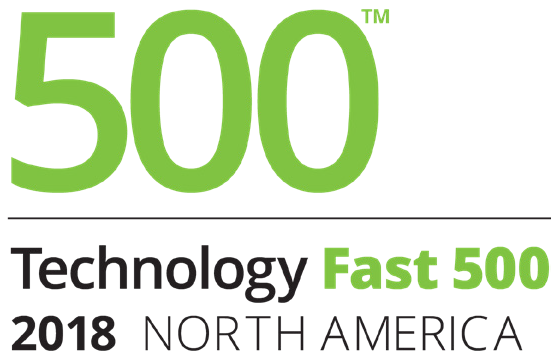 In 2018, we were ranked number 58 on Deloitte’s Technology Fast 500™, a ranking of the 500 fastest growing technology, media, telecommunications, life sciences and energy tech companies in North America. The pace here is fast and demanding, the award-winning technology is cutting edge and expectations are high, but so is the payback when we get it done. If you are a bright and a highly motivated self-starter, this could be a life-changing opportunity to learn and accomplish more than you ever dreamed possible. We hire people of all backgrounds and skill levels, and are proud to employ 25-year veterans, college interns and everything in between. This senior TME role is a critical and highly visible role in Pluribus Network. The ideal candidate must be proactive with excellent problem-solving and judgment skills working in a fast-paced startup environment. This individual is expected to define and drive technical product requirements of Pluribus Distributed SDN fabric in collaboration with technology partners, customers and with the engineering organization. We are looking for a highly motivated person that has a passion for networking technologies and solving complex customer challenges. We are currently seeking qualified candidates for the role of Executive Assistant/Office Manager. You will oversee the daily operations of our office, assist our CEO in various projects, and ensure all daily procedures run smoothly. If you are a self-starter, enjoy wearing multiple hats, have excellent organization skills along with the ability to prioritize tasks, meet deadlines, resolve scheduling conflicts and the ability to pivot and go with the flow, this is the position for you. As a leading network technology company, IT is a strategic enabler for Pluribus Networks. This is an incredible opportunity for a motivated person to work with and learn from some of the best and brightest in the industry. We are currently seeking qualified candidates who will provide onsite installation, deployment, and configuration relating to Pluribus Networks equipment. You will be a key member of the fast paced Pluribus Network Engineering team using your expert design and implementation skills to deliver high quality L2/L3 networking protocol implementations for the Pluribus Networks NetVisor™ operating system. We are looking for passionate, entrepreneurial, and technically savvy sales engineers to help our customers and partners evaluate, and adopt the use of Pluribus Adaptive Cloud Fabric and Netvisor operating system technology. As a technical writer at Pluribus Networks, you will directly help our customers and partners better understand how to configure and use Netvisor ONE on a network. Provide support to understand, troubleshoot, diagnose, reproduce and provide fault isolation in resolving escalated technical issues. Define, manage, and execute problem resolution plans and drives solutions/fixes through engineering and QA. The candidate will be part of a system and fabric test team responsible for testing virtualized switches and distributed Netvisor operating system. Pluribus Networks is seeking a Full Stack Developer at our California headquarters. Developers will participate in a high performing team of other Full Stack Developers and Testers; Work from requirements drawn up by Product Managers and Senior Developers; Retrieve / Process / Manage network and statistical data in proprietary Web Applications; and Address customer support escalations as required. You will be a key member of the fast paced Pluribus Network Engineering team using your expert design and implementation skills to deliver high quality L2/L3 networking protocol and data plane forwarding implementations for the Pluribus Networks NetVisor™ operating system. You will be a key member of the fast paced Pluribus Engineering team using your network driver expertise to design, implement, and debug unix device drivers. You will use your expertise in unix internals and embedded systems to bring up Pluribus Netvisor OS on a number of hardware platforms. As an experienced and talented developer you must be focused on delivering high quality software that can be verified and maintained from release to release. You will be a key member of the fast paced Pluribus Network Engineering team using your expert design and implementation skills to deliver important cloud services to our customers with the highest quality. You will be implementing solutions that include everything from database schema and business logic to the presentation layer as well as client-side work for the Pluribus Networks NetVisor™ operating system. The candidate will be working with a team responsible for testing high performance network virtualization software on whitebox hardware platforms. This job requires developing automated test scripts, running them, analyzing failures, isolating product defects from script issues and reporting results on an ongoing basis. The candidate should be able to setup and configure network switches, install and maintain open source build/test tools, test equipment in the lab, use third party network test equipment, debug complex problems to isolate bugs from desired behavior. Do you take pride in your work? Do you desire to leave your mark on the industry? Consider joining the Pluribus Networks team.